Principles of CMR. Ischaemic heart disease. Heart failure and cardiomyopathy. Valvular heart disease. Cardiac masses, pericardial disease and myocarditis. Diseases of the aorta. Adult congenital heart disease. Magnetic resonance angiography. Coronary MRA. Common CMR artefacts. Conclusion. Further reading. 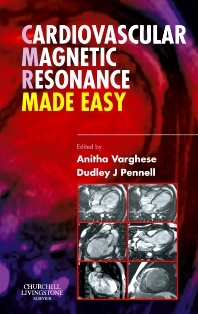 This title provides an easily digestible and portable synopsis of the technique which will suit the needs of cardiologists and cardiothoracic surgeons wishing to acquaint themselves with what CMR can do, and what it cannot. Beginning with an outline of some of the basic principles of MRI, the following chapters concentrate on the cardiac side of CMR with a later section on its more established vascular uses.